This year I am organising a Murder Mystery Event in Belfast Castle! ‘Murder Mystery NI’ will be providing the entertainment. This will be an exciting venue to have some mysterious fun and all in aid of a good cause. We have all been touched by the the deaths on our streets in recent months and after researching a neutral charity that serves all sections of the community I decided upon the ‘Welcome Organisation’. I was indeed welcomed when I visited them yesterday and witnessed first hand the fabulous work that goes on. It was a busy lunchtime and the dining room was a hub of activity. Ashleigh kindly took me up to a fantastic crafts room were the service users can develop their skills in a safe supportive environment. It was fabulous with some plans in the pipeline to sell some of the fantastic products. During my visit I met two lovely ladies who have found the service to be invaluable to them. They shared some of their own issues but remained so positive supported by the centre. 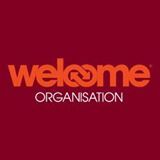 The Welcome Organisation has a long established history and reputation for its work with disadvantaged men and women who are homeless or at risk of losing their accommodation. Based on the premise of mutual respect and acceptance of people ‘where they are at’ the Organisation delivers very low threshold services based on the principles of harm reduction. They believe in the potential in every individual and are known for never giving up on people. Their services are focused on those who are most in need in the community. 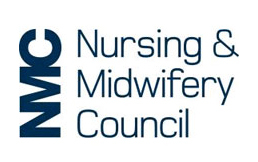 The main focus of their work is to provide both crisis and longer term support for people with acute needs and demonstrate behaviours associated with the same. This means that they work with people who many others find it challenging to work with. While we may be comfortable in our lives presently we never know the moment our situation may change. Thats why we should all assist now when we have the means to do so. Please join me in July, donate, sponsor or provide raffle prizes, whatever you can afford and take pleasure in helping others have a better day.